Paula Patton is not gunning for permanent sole custody of her son … in fact, we’ve learned she’s not gunning for anything now, because all she wants to do is figure out what’s wrong with her son. 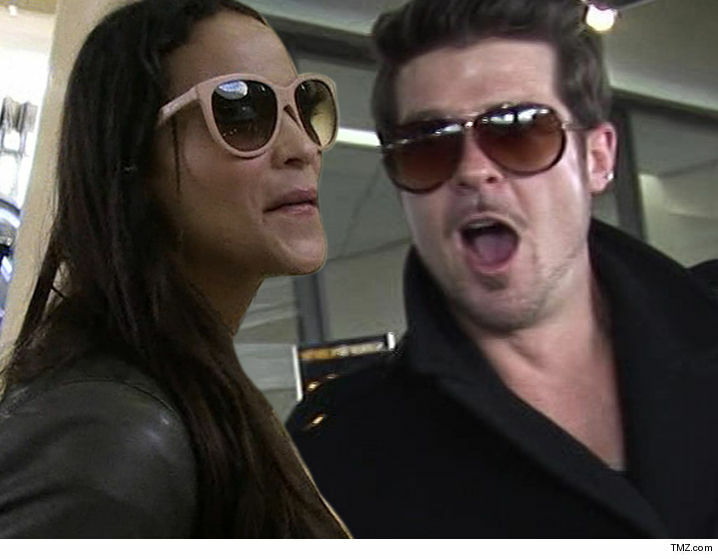 TMZ broke the story … a judge just ordered Robin Thicke to stay 100 yards away from 6-year-old Julian, along with Paula and her mother. For now she has sole physical and legal custody. Sources connected with the former couple tell us, Paula doesn’t know what the final custody arrangement should look like, because she doesn’t know the extent of Julian’s issues. The boy told school officials Robin had been spanking him very hard. Paula also claims Robin got physical with his son. We’re told Julian is acting out in troubling ways, which include hyperventilating and just “freaking out.” She’s putting the boy in therapy to figure out what, if anything, happened to him and how to fix it. We’re told Paula will not make a long term custody game plan until she gets the lowdown from the therapist. As we reported, Robin denies abusing Julian or Paula, and says she’s conveniently bringing up allegations that she says are 3 or 4 years old on the heels of a custody dispute.